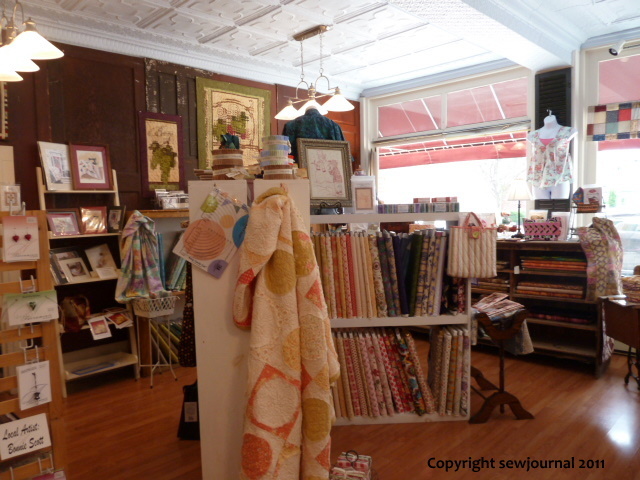 While I was staying with Sylvia we visited a couple of quilt shops in New York State. 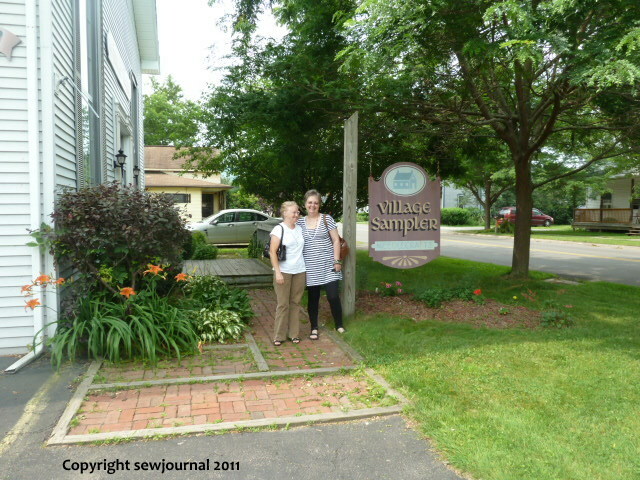 First was The Village Sampler at Big Flats which is half way between Corning and Elmira. 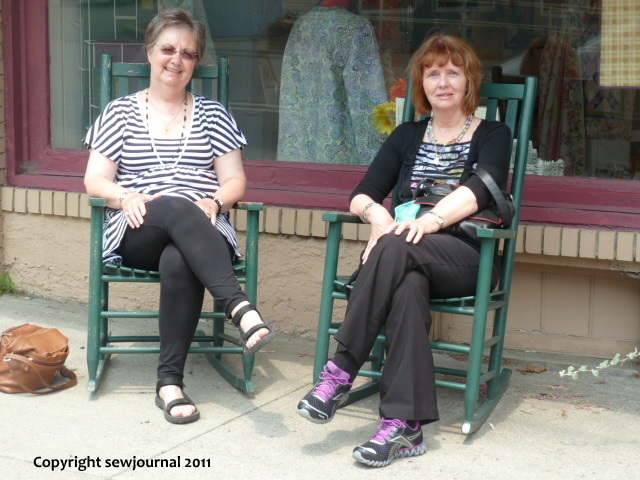 Here’s a photo of Sylvia and her lovely friend Louise outside the shop. 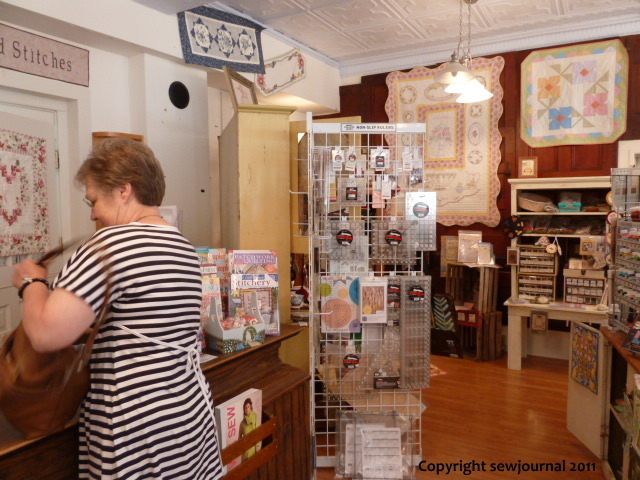 I got so engrossed inside I forgot to take photos! 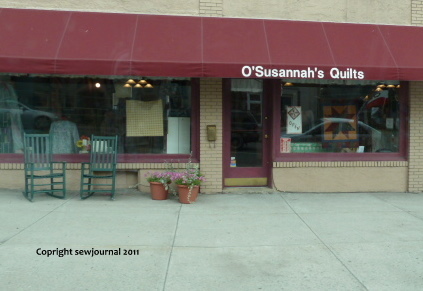 After we’d spent an hour or so here we went to Watkins Glen to visit O Susannah’s Quilts! 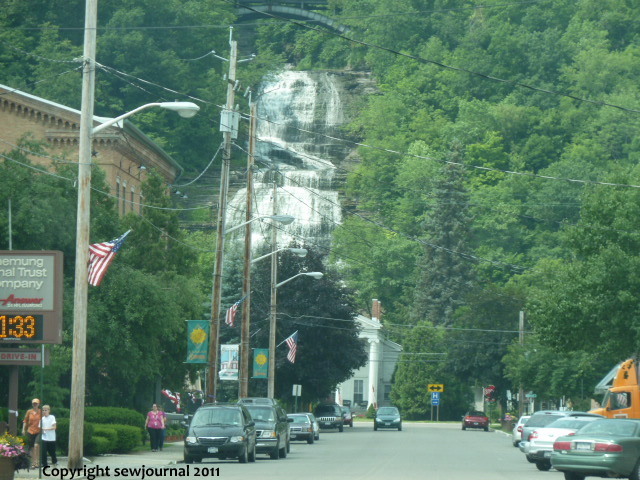 Watkins Glen is a really cute town with a huge waterfall right at the end of the main street. 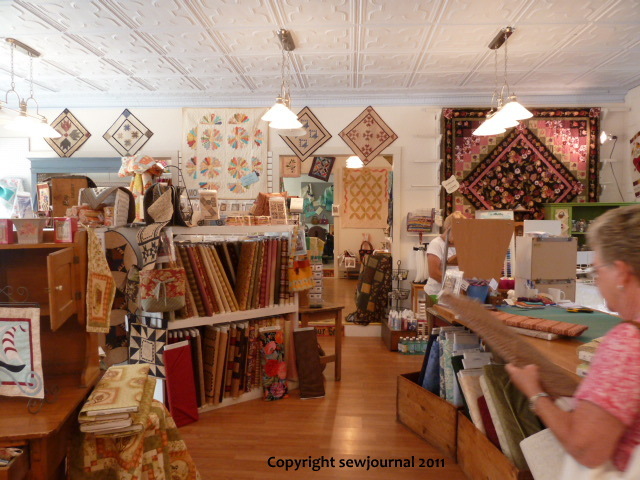 This is quite a large quilt shop and packed full of really beautiful quilts and fabrics. 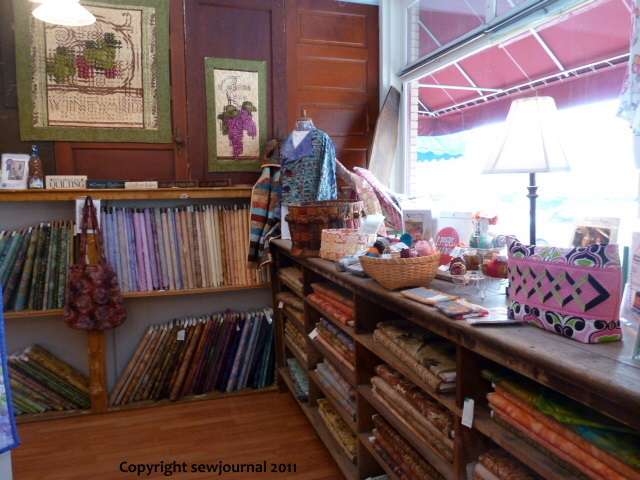 The three of us spent a good hour or so and quite a bit of money here!